It seems as though Old Man Winter may never pack his bags and leave town this year. With spring officially upon us, some parts of the country are still seeing snow and experiencing record cold temperatures. Here in the South, spring is definitely lagging behind, but it’s started to make an appearance with a few daffodils popping up from the frozen ground and the Cherry Blossom trees in bloom. Our fear is that it’s probably one of those years where we’ll skip spring entirely and land right in the middle of the scorching heat and humidity of summer. 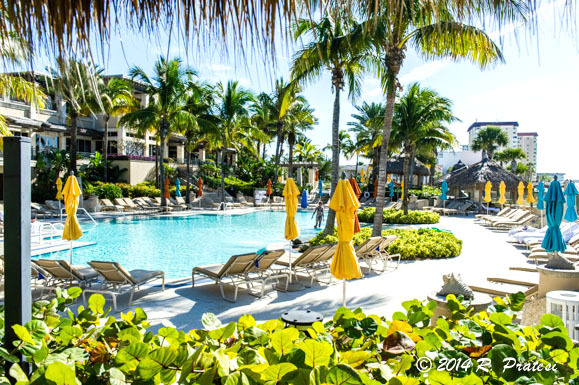 It’s time for a tropical vacation! 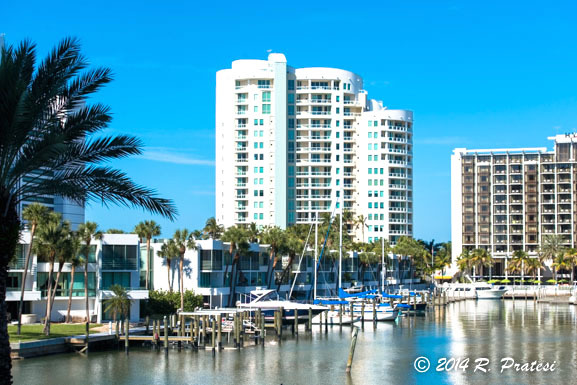 When the frigid days and winter blues have been around long enough to get you down (and I think most of us feel that way this year), then my suggestion is to head to the Sunshine State of Florida; in particular, the beautiful city of Sarasota. 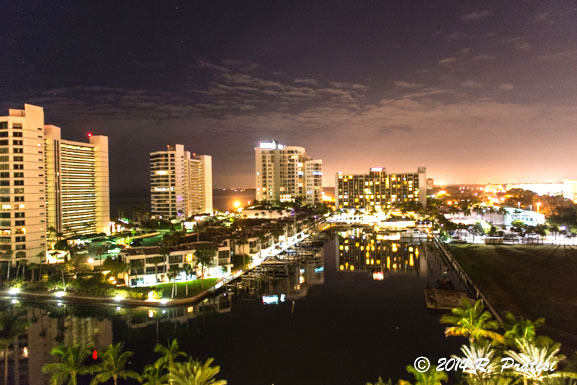 Situated on the Gulf of Mexico, Sarasota is one of our favorite places to visit in the state of Florida and it’s just about an hour south of Tampa. 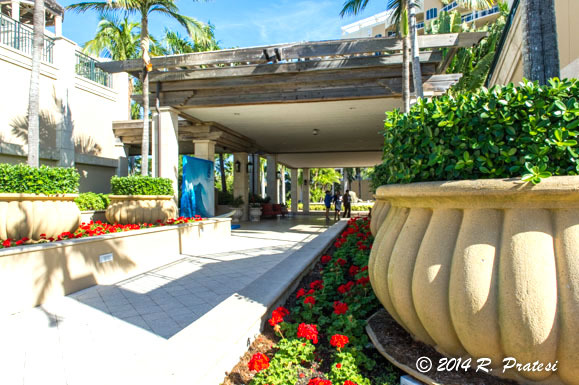 Sarasota is a lively and sophisticated city with a pedestrian friendly downtown teeming with great restaurants, retail shops, and galleries. The beaches are pristine white and there’s plenty to do in the area, especially for those with an active lifestyle. The city is quite the cultural hub with museums, history, performing art centers, theater, and music venues. Of course, with ideal temperatures much of the year, outdoor activities, such as fishing and boating, are also plentiful. 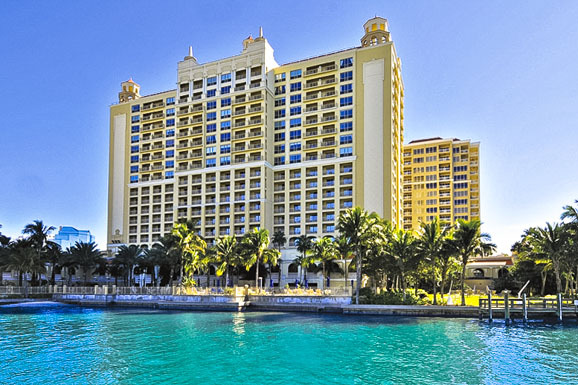 The Ritz-Carlton, Sarasota, located just minutes by walking from the busy downtown area, is the perfect hotel choice when traveling to Sarasota. 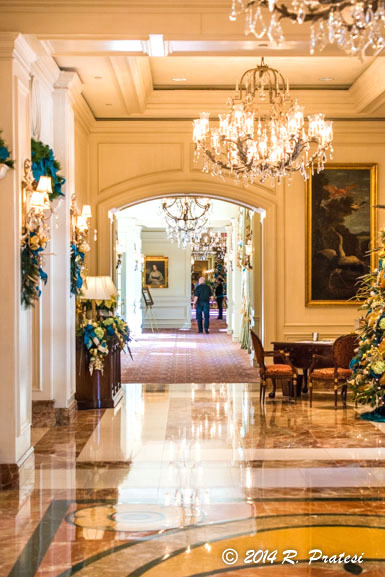 This destination resort, in typical Ritz-Carlton style, is a luxury property, yet the grandeur of the gracious hotel blends perfectly with the more relaxed Florida Gulf Coast lifestyle. The refreshing result is a refined mix of casual elegance featuring the excellent service that Ritz-Carlton properties are known for. 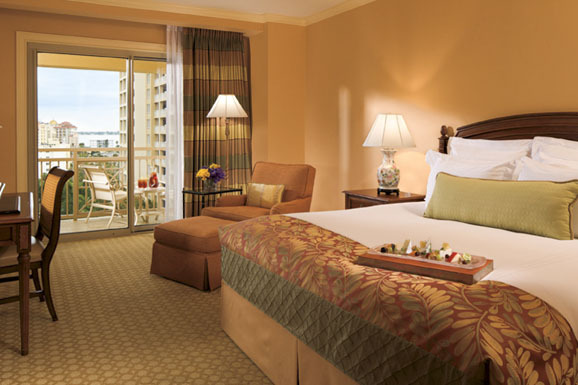 Guest rooms are beautifully appointed with private balconies, many with views looking out over Sarasota Bay. There are all of the amenities you would expect at a luxury resort including one of the best spas in the country (named by Travel & Leisure) and access to golf at an award-winning Tom Fazio golf course at The Ritz-Carlton Golf Club, just a short distance from the property. I haven’t been to Sarasota since high school! I do remember it as being a beautiful city with a beautiful beach. I did always love getting back to Florida in the winter when the weather there was gorgeous, warm and sunny. Your stay looks like it was fabulous and perfect. And the food… that Cioppino is stunning! We love Sarasota and yes, it is beautiful. We have family in town and wish we were able to visit more often. Jack Dusty had great seafood and it’s a fun concept, so I can highly recommend a dinner there if you ever make it over to Sarasota.